This is a four part story by Dan Bacher on the effects of Gov. Jerry Brown's announcement yesterday. Governor Jerry Brown on April 1 issued an executive order that he claimed will "save water," increase enforcement to prevent wasteful water use, streamline the state's drought response and invest in new technologies that will make California more "drought resilient." The order follows the lowest Sierra Nevada snowpack ever recorded in California history, only 5 percent of the historic average, with no end to the drought in sight. 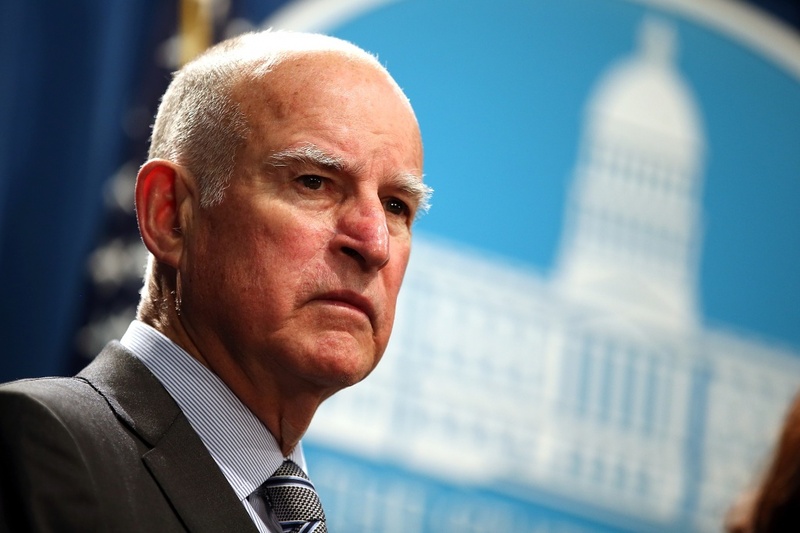 Critics of the Governor’s water policies quickly responded that Brown’s order lets corporate agribusiness interests, the biggest users of the state's water, and big oil companies off the hook. For the first time in state history, Brown directed the State Water Resources Control Board to implement mandatory water reductions in cities and towns across California to reduce water usage by 25 percent. "This savings amounts to approximately 1.5 million acre-feet of water over the next nine months, or nearly as much as is currently in Lake Oroville," according to the Governor's Office. His executive order also features "increased enforcent actions," including calls on local water agencies to adjust their rate structures to implement conservation pricing, recognized as an effective way to realize water reductions and discourage water waste. In addition, the order called for "streamlining government response to the drought," including prioritizing state review and decision-making of water infrastructure projects and requiring state agencies to report to the Governor's Office on any application pending for more than 90 days. Where is the water going to come from? Sure isn't coming from thin air. "If the state continues on this path, there may have to be thoughts about moving people out, said Lynn Wilson, academic chair at Kaplan University and who serves on the climate change delegation in the United Nations. So why do they want to allow more houses to be built?